Want to know what the Australian coastline may look like in 2100? This BETA version of Coastal Risk Australia (CRA) has been opened for public consultation to show you what the Australian coast may look like in 2100. It is an interactive map tool designed to communicate coastal inundation associated with sea level rise to the year 2100. 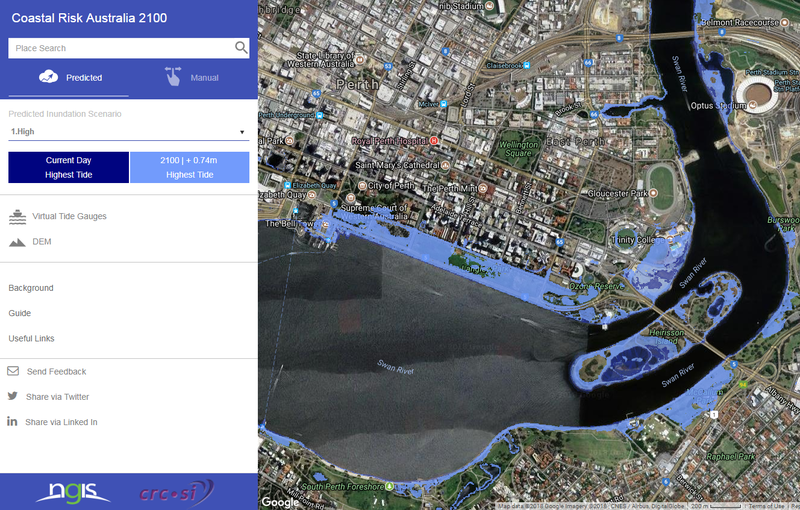 Using Google Earth Engine technology, CRA allows you to investigate the extent of coastal inundation using the latest 3D models of the Australian coastline. Data have been captured using airborne LiDAR technology to create detailed digital elevation models (DEMs), which are then combined with ‘bucket-fill’ inundation modelling to create the map-based visualisations.